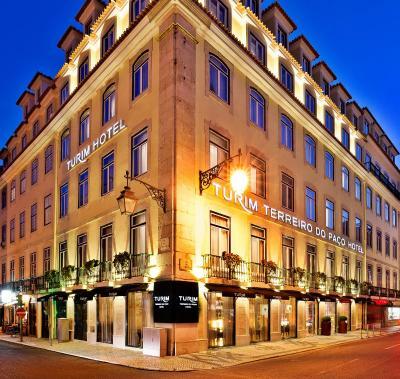 Lock in a great price for TURIM Terreiro do Paço Hotel – rated 8.3 by recent guests! Very clean, nicely appointed. HOT showers. Great location. A super value. The front desk staff (Katarina) was very helpful. I’m very thankful for the staff, they went out of the way to be help with a very sensitive situation. 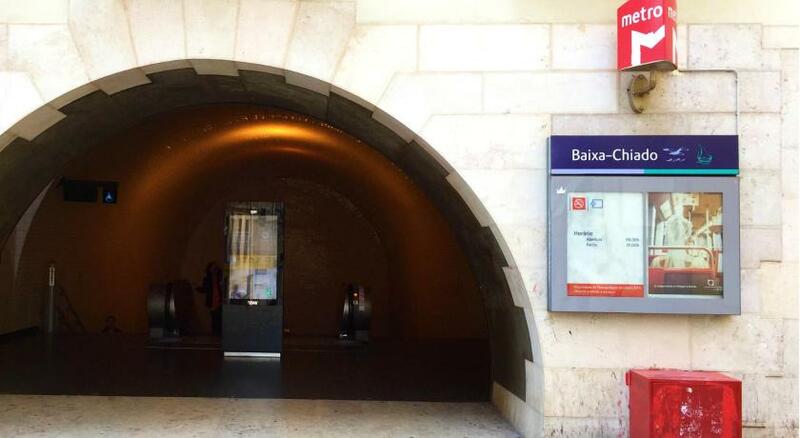 The hotel was close to and is easily accessible from any kind of transport. 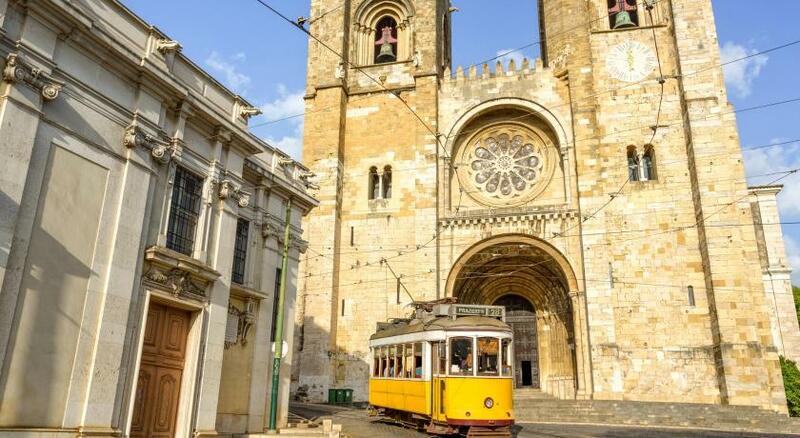 Rua Augusta, bus pick up points and close to tran and metro lines. The staff were kind and courteous and gave solid tips about traveling and roaming within the city. The room was orderly and neat and the same can be said for the lobby. We stayed in a decently sized room and the towels were changed to fresh ones daily as well as the sheets. It has a welcoming vibe after a tiring day of walking around. 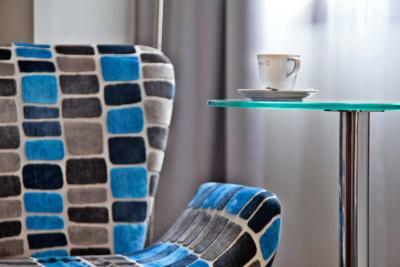 location, welcome drink, staff attention, coffee incl. in the room. The rooms offered the possibility of playing soft music. Staff was very nice. And location was perfect! Quite expensive €470 for 2 rooms for one night which did not include breakfast ... I asked for rooms not to be together and they were put together ... no space for luggage ... hallways very dark. No additional facilities pointed out. Nice staff, location is great and the room is very clean. 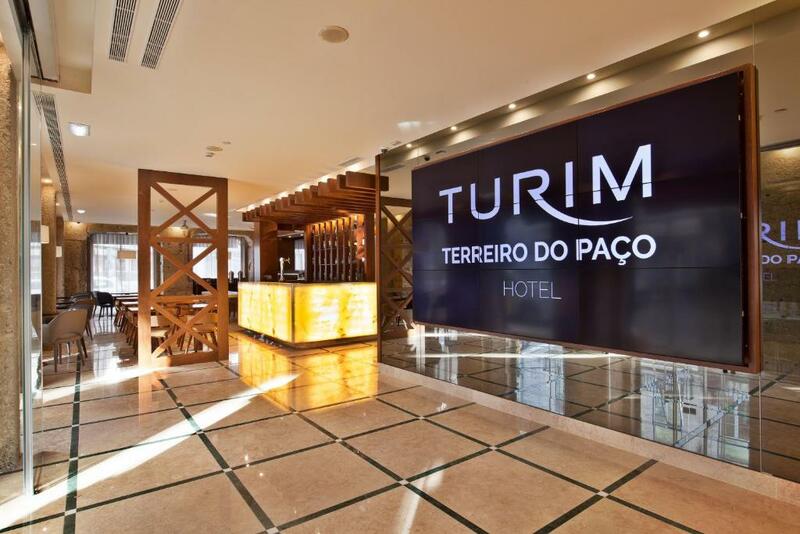 TURIM Terreiro do Paço Hotel This rating is a reflection of how the property compares to the industry standard when it comes to price, facilities and services available. It's based on a self-evaluation by the property. Use this rating to help choose your stay! 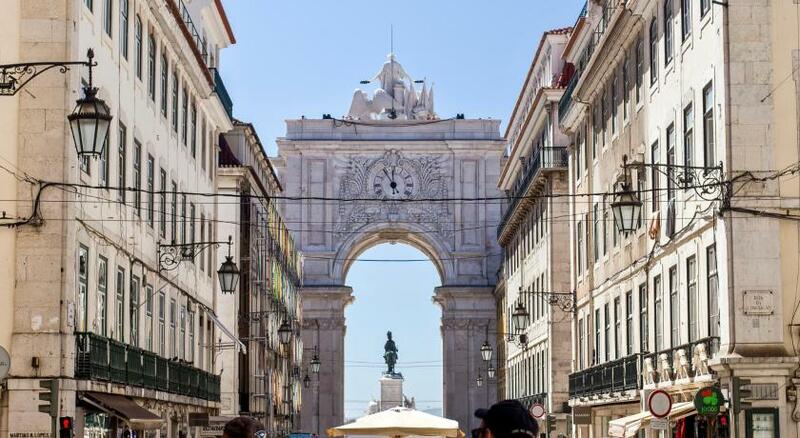 One of our top picks in Lisbon.At 800 feet from Commerce Square and just 1,150 feet from Terreiro do Paço Metro Station, this 4-star Lisbon hotel is a short walk from the Tagus River. 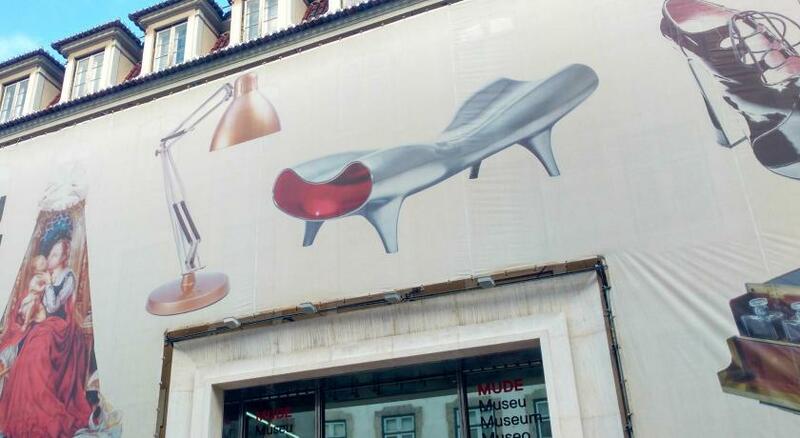 Chiado and Rossio are both at an 8-minute walk. 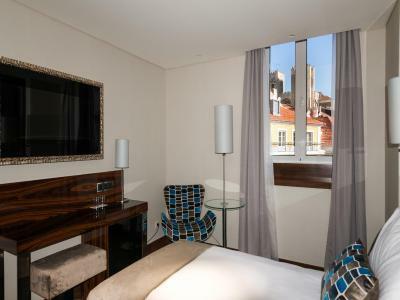 Featuring single, twin and double rooms, the central TURIM Terreiro do Paço Hotel features comfortable and modern accommodations with a private bathroom. 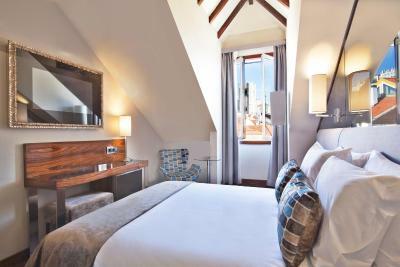 Each room has a a flat-screen TV, air conditioning and free WiFi access. 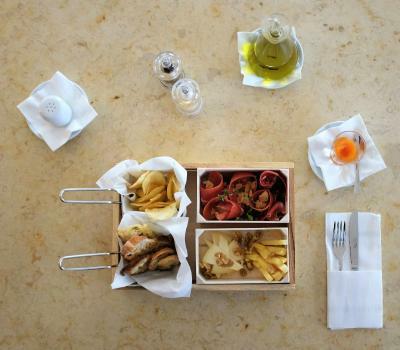 Breakfast service is available each morning and is served in the restaurant area. 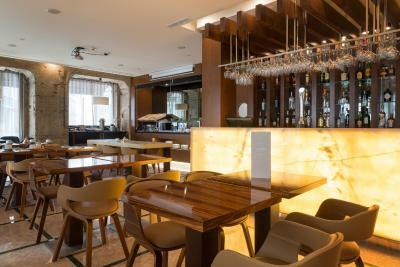 The hotel’s à la carte restaurant has a varied menu with Portuguese and international specialties that guests can savor for lunch and/or dinner. 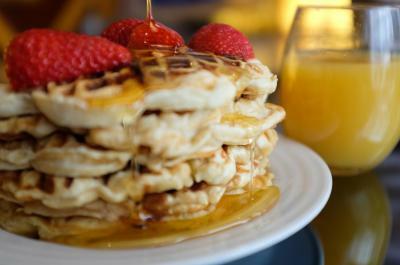 A variety of local eateries is available nearby, within a short walk. 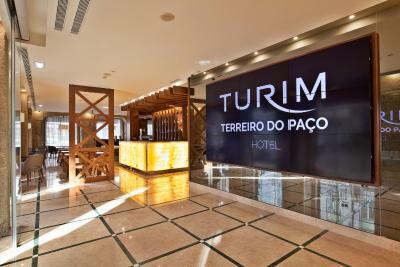 The TURIM Terreiro do Paço features a 24-hour front desk, as well as dry cleaning, ironing and laundry services. 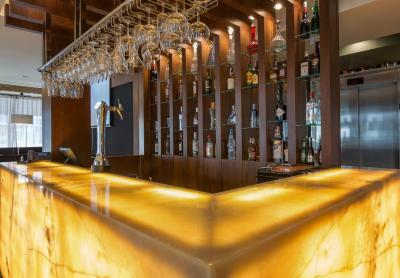 Guests are welcome to enjoy a refreshing cocktail at the bar or relax in the lounge area. 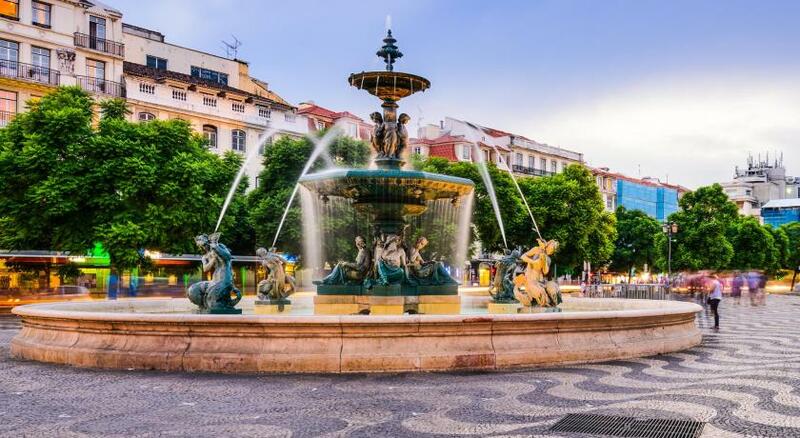 Nearby, Rossio features traditional cafés and restaurants, while Chiado has a variety of characteristic shops. 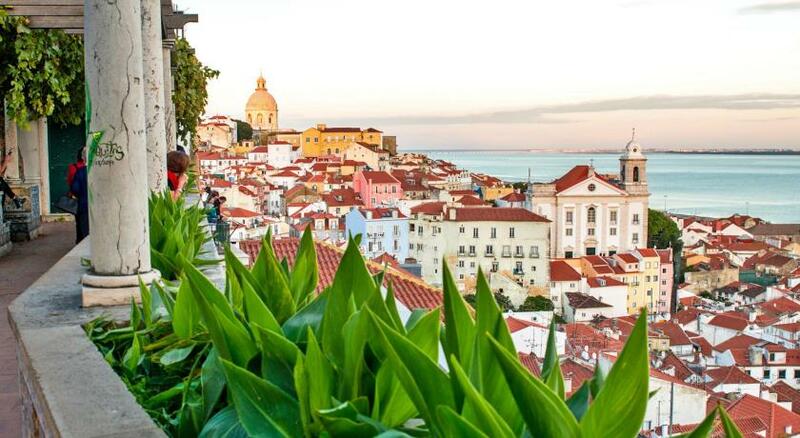 Bairro Alto is a 15-minute walk and is the city’s most renowned nightlife area, filled with bars and after-hours restaurants. 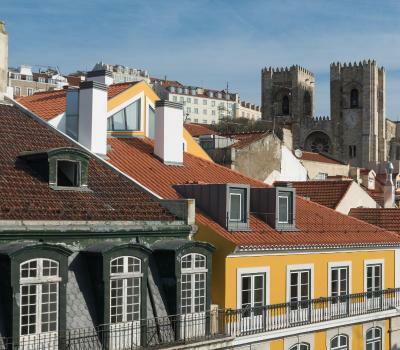 The iconic São Jorge Castle is 2,300 feet away. 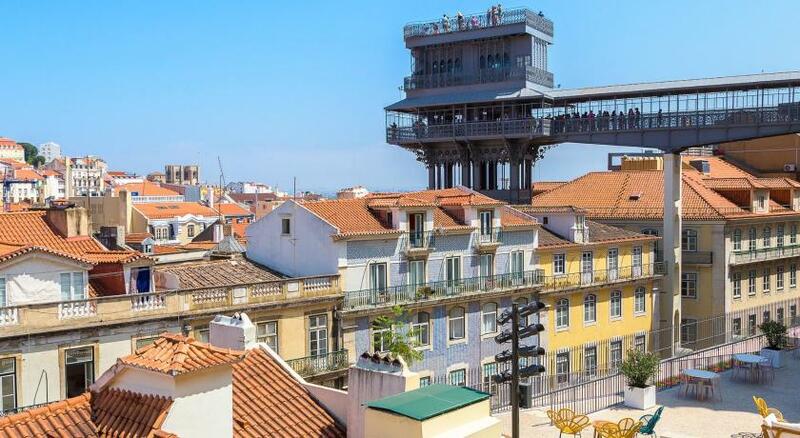 The TURIM Terreiro do Paço Hotel is 5.6 mi from Lisbon International Airport, which is reachable via a paid airport shuttle service or through the nearby metro station. 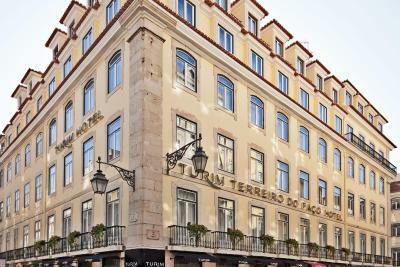 When would you like to stay at TURIM Terreiro do Paço Hotel? 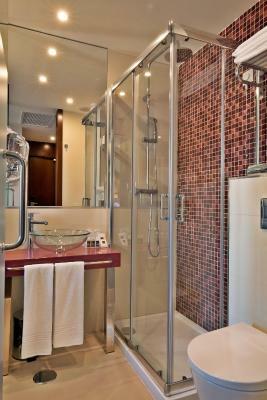 Featuring a single bed, this modern room comes with a private bathroom. It has a flat-screen TV, air conditioning and free WiFi access. 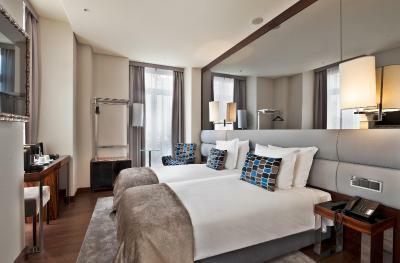 This ample double room features comfortable and modern accommodations with a private bathroom. 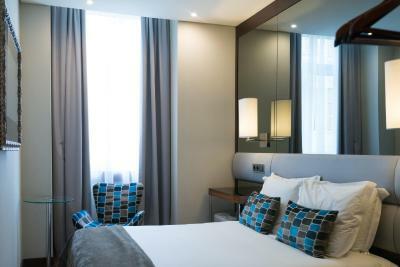 This double room features comfortable and modern accommodations with a private bathroom. This ample twin room features comfortable and modern accommodations with a private bathroom. 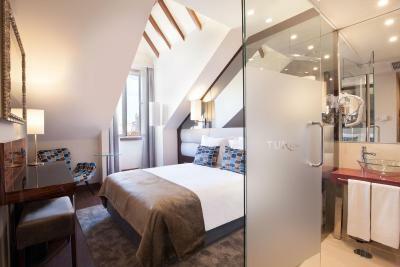 This twin room features comfortable and modern accommodations with a private bathroom. 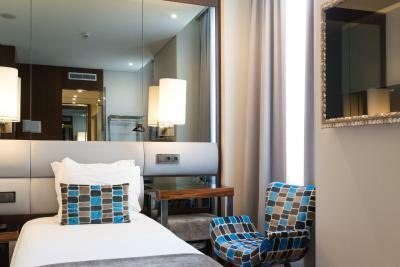 This air-conditioned single room features flat-screen satellite TV, a mini-bar and a private bathroom. This triple room has a single bed and a double bed. 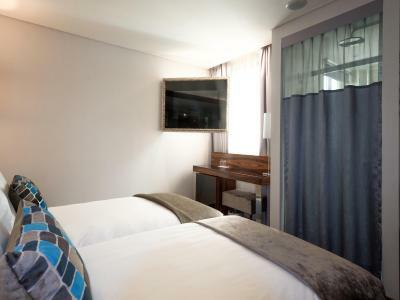 The soundproofed room comes with a private bathroom, mini-bar, air conditioning and a flat-screen satellite TV. 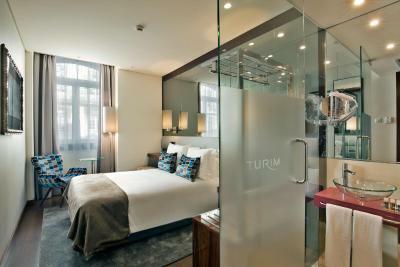 Inaugurated in 1992, the steadily-expanding Turim Hotels Group has an expert group of professionals, dedicated to assisting you in your desired accommodation. The varied network of properties includes quality and comfortable units located in the city, in the countryside and by the sea. 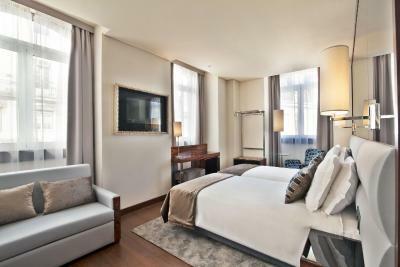 House Rules TURIM Terreiro do Paço Hotel takes special requests – add in the next step! 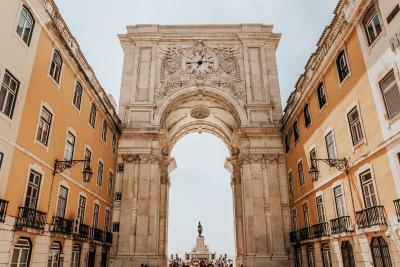 TURIM Terreiro do Paço Hotel accepts these cards and reserves the right to temporarily hold an amount prior to arrival. Please note that a credit card valid on the date of check-in should be provided to guarantee the reservation. The credit card used in the reservation must be presented at check-in. Very small rooms, bathroom had very little privacy. air Conditioning did not work effectively. Good location near marina. Clean. Location and facilities are wonderful. Unfortunately it was hot in our room and this hotel does not have air conditioning for individual rooms and they do not run it until a certain time of year. Bathroom sink was clogged. No private bathroom. Bathroom has a glass that covers it but anyone in room can see and hear you inside. Definitely not a 4 star hotel. Room even it was executive and bigger than standard one was quite small but enough for a short (1 or 2 nights) stay. Bathroom also was quite small. Complimentary bootle of water could be a nice add on since I think it is something usual in most of the Hotels. Speed of WiFi was not sufficient but this is something normal in most of the Hotels and I don't understand it at all. XXI century and we have Internet rationing. Cosy and small Hotel in very nice location. Near to the Ocean and city center. a lot of nice bars and restaurants nearby. Staff very kind and extremly helpful. Quite comfortable bed. Welcome shot is something nice even if the sherry liqueur we had wasn't tasty at all. I don't know maybe becasue of the type of this drink or maybe its quality. We never tried a sherry liqueur before. 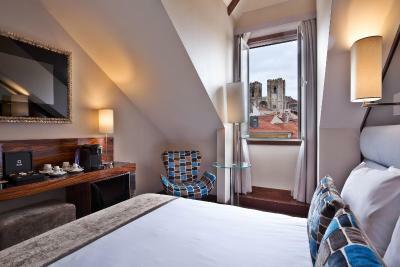 The hotel itself is situated in a fantastic location! Staff are genuinely helpful. However some features of the amenities leave things much desired. Other than that the hotel was value for money and much better than a hostel option!